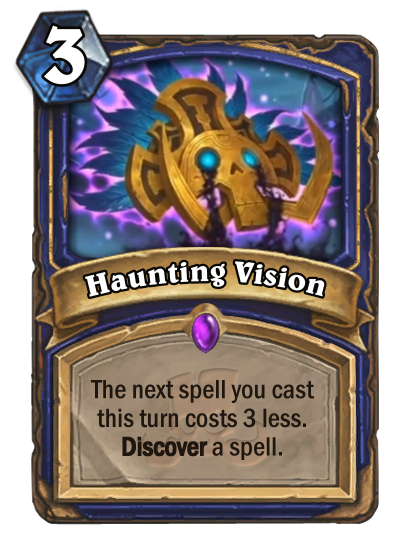 Korean streamer Flurry unveiled a new Epic Shaman Card called Haunting Vision. Chinese streamer MoZe revealed a Rare Druid Card named Predatory Instincts. Check out our Rastakhan's Rumble hub for the latest Card reveals! The next spell cast this turn costs 3 less. Discover a spell. 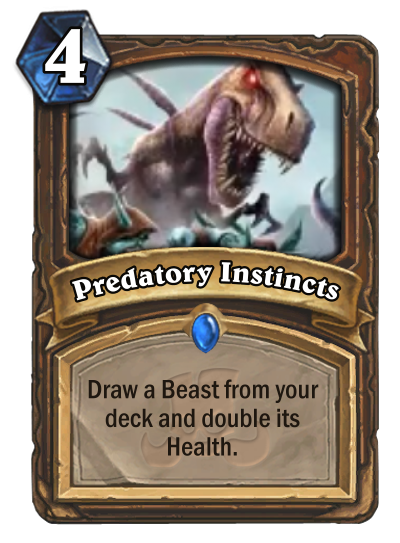 I really don't understand why Druid get all the tutors.... the melon wasn't enough to draw Hadronox? Oh my, Predatory Instincts seems soooooo bad. I guess you could use it to fetch Hadronox, but other than this I can't see any reason to spend 4 mana to draw a single (slightly buffed) Beast. Besides, buffing Hadronox is nearly worthless and the card becomes absolutely dead when you already got her on your hand...so...no...i can't see this card seeing play now or in the future.